Safely clean your wheels and save your hands! 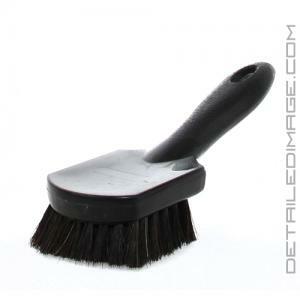 Cleaning your wheels is generally not too fun but we can help make it easier with the Horse's Hair Wheel Brush. 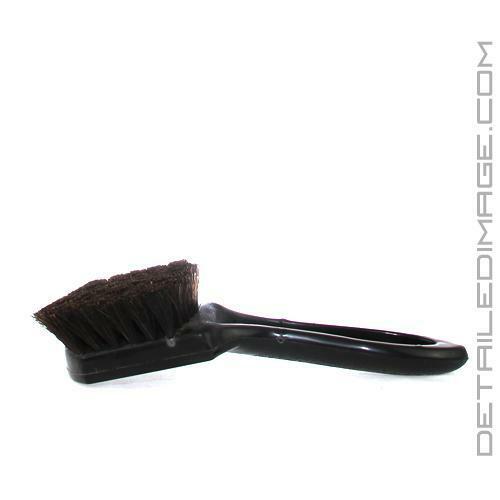 This brush utilizes very soft and gentle fibers that help you clean the face of the wheel safely and efficiently. It's a great tool that saves your fingers from scrubbing too much so you get better results in less time. The brush works carefully in between spokes, rivets, lug nuts, etc. and it's also great on the face and lip of the wheel. For best results spray your wheels with your favorite wheel cleaner or a regular car wash shampoo. If you soak the brush in water or a shampoo mix the fibers will become even softer and thus safer to use. Use the brush with light pressure and you'll be amazed at how rapidly you can clean your wheels. Dunk it in a rinse bucket or hose it out and you'll be amazed at how clean and soft the brush remains so it's always safe to use for years to come. So stop staring at dirty wheels, instead use the right tool for the job with the Horse's Hair Wheel Brush and enjoy the results.